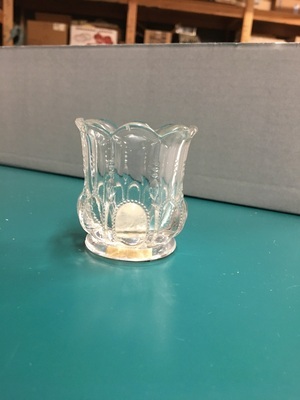 Glass tooth pick holder. Scalloped. Shaped and trimmed in glass on all sides.